awfull! they speak fast and not prounance words correctly. very hard to comprehend for non native English language person. Excellent series on AI. Each conversation is deep and thought provoking. Far from hype and all about substance. Exactly what you would expect from MIT. Ian Goodfellow is the author of the popular textbook on deep learning (simply titled “Deep Learning”). He coined the term Generative Adversarial Networks (GANs) and with his 2014 paper is responsible for launching the incredible growth of research on GANs. Video version is available on YouTube. If you would like to get more information about this podcast go to https://lexfridman.com/ai or connect with @lexfridman on Twitter, LinkedIn, Facebook, Medium, or YouTube where you can watch the video versions of these conversations. Greg Brockman is the Co-Founder and CTO of OpenAI, a research organization developing ideas in AI that lead eventually to a safe & friendly artificial general intelligence that benefits and empowers humanity. Video version is available on YouTube. If you would like to get more information about this podcast go to https://lexfridman.com/ai or connect with @lexfridman on Twitter, LinkedIn, Facebook, Medium, or YouTube where you can watch the video versions of these conversations. Leslie Kaelbling is a roboticist and professor at MIT. She is recognized for her work in reinforcement learning, planning, robot navigation, and several other topics in AI. She won the IJCAI Computers and Thought Award and was the editor-in-chief of the prestigious Journal of Machine Learning Research. Video version is available on YouTube. 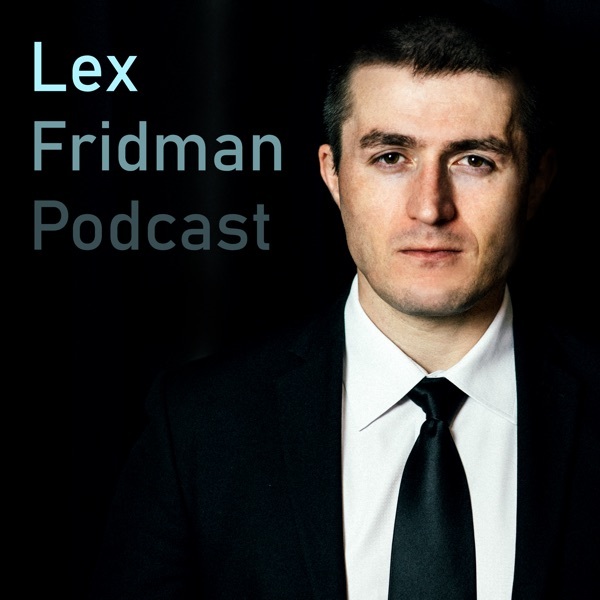 If you would like to get more information about this podcast go to https://lexfridman.com/ai or connect with @lexfridman on Twitter, LinkedIn, Facebook, Medium, or YouTube where you can watch the video versions of these conversations. Juergen Schmidhuber is the co-creator of long short-term memory networks (LSTMs) which are used in billions of devices today for speech recognition, translation, and much more. Over 30 years, he has proposed a lot of interesting, out-of-the-box ideas in artificial intelligence including a formal theory of creativity. Video version is available on YouTube. If you would like to get more information about this podcast go to https://lexfridman.com/ai or connect with @lexfridman on Twitter, LinkedIn, Facebook, or YouTube where you can watch the video versions of these conversations. Pieter Abbeel is a professor at UC Berkeley, director of the Berkeley Robot Learning Lab, and is one of the top researchers in the world working on how to make robots understand and interact with the world around them, especially through imitation and deep reinforcement learning. Video version is available on YouTube. If you would like to get more information about this podcast go to https://lexfridman.com/ai or connect with @lexfridman on Twitter, LinkedIn, Facebook, or YouTube where you can watch the video versions of these conversations. Stuart Russell is a professor of computer science at UC Berkeley and a co-author of the book that introduced me and millions of other people to AI, called Artificial Intelligence: A Modern Approach. Video version is available on YouTube. If you would like to get more information about this podcast go to https://lexfridman.com/ai or connect with @lexfridman on Twitter, LinkedIn, Facebook, or YouTube where you can watch the video versions of these conversations. Eric Schmidt was the CEO of Google from 2001 to 2011, and its executive chairman from 2011 to 2017, guiding the company through a period of incredible growth and a series of world-changing innovations. Video version is available on YouTube. If you would like to get more information about this podcast go to https://lexfridman.com/ai or connect with @lexfridman on Twitter, LinkedIn, Facebook, or YouTube where you can watch the video versions of these conversations. Guido van Rossum is the creator of Python, one of the most popular and impactful programming languages in the world. Video version is available on YouTube. If you would like to get more information about this podcast go to https://lexfridman.com/ai or connect with @lexfridman on Twitter, LinkedIn, Facebook, or YouTube where you can watch the video versions of these conversations. Vladimir Vapnik is the co-inventor of support vector machines, support vector clustering, VC theory, and many foundational ideas in statistical learning. His work has been cited over 170,000 times. He has some very interesting ideas about artificial intelligence and the nature of learning, especially on the limits of our current approaches and the open problems in the field. Video version is available on YouTube. If you would like to get more information about this podcast go to https://lexfridman.com/ai or connect with @lexfridman on Twitter, LinkedIn, Facebook, or YouTube where you can watch the video versions of these conversations. Yoshua Bengio, along with Geoffrey Hinton and Yann Lecun, is considered one of the three people most responsible for the advancement of deep learning during the 1990s, 2000s, and now. Cited 139,000 times, he has been integral to some of the biggest breakthroughs in AI over the past 3 decades. Video version is available on YouTube. If you would like to get more information about this podcast go to https://lexfridman.com/ai or connect with @lexfridman on Twitter, LinkedIn, Facebook, or YouTube where you can watch the video versions of these conversations. Excerpt from lecture Q&A with Stephen Wolfram as part of MIT course on Artificial General Intelligence. Video version is available on YouTube. If you would like to get more information about this podcast go to https://lexfridman.com/ai or connect with @lexfridman on Twitter, LinkedIn, Facebook, or YouTube where you can watch the video versions of these conversations. Excerpt from lecture Q&A with Marc Raibert, CEO of Boston Dynamics, as part of MIT course on Artificial General Intelligence. Video version is available on YouTube. If you would like to get more information about this podcast go to https://lexfridman.com/ai or connect with @lexfridman on Twitter, LinkedIn, Facebook, or YouTube where you can watch the video versions of these conversations. An on-stage conversation with Lisa Feldman Barrett as part of MIT course on Artificial General Intelligence. Video version is available on YouTube. She is a University Distinguished Professor of Psychology at Northeastern University, Director of the Interdisciplinary Affective Science Laboratory, and author of “How Emotions are Made: The Secret Life of the Brain.” She studies human emotion from social-psychological, cognitive science, and neuroscience perspectives. If you would like to get more information about this podcast go to https://lexfridman.com/ai or connect with @lexfridman on Twitter, LinkedIn, Facebook, or YouTube where you can watch the video versions of these conversations. A conversation with Christof Koch as part of MIT course on Artificial General Intelligence. Video version is available on YouTube. He is the President and Chief Scientific Officer of the Allen Institute for Brain Science in Seattle. From 1986 until 2013, he was a professor at CalTech. Cited more than 105,000 times. Author of several books including “Consciousness: Confessions of a Romantic Reductionist.” If you would like to get more information about this podcast go to https://lexfridman.com/ai or connect with @lexfridman on Twitter, LinkedIn, Facebook, or YouTube where you can watch the video versions of these conversations. A conversation with Max Tegmark as part of MIT course on Artificial General Intelligence. Video version is available on YouTube. He is a Physics Professor at MIT, co-founder of the Future of Life Institute, and author of “Life 3.0: Being Human in the Age of Artificial Intelligence.” If you would like to get more information about this podcast go to https://lexfridman.com/ai or connect with @lexfridman on Twitter, LinkedIn, Facebook, or YouTube where you can watch the video versions of these conversations.